Drink Packages: Food & Drinks packages available  contact venue. Bovines is a restaurant, wine and cocktail bar located within the Normanby Hotel. The restaurant is tastefully decorated and also features a boutique bar and lounge. 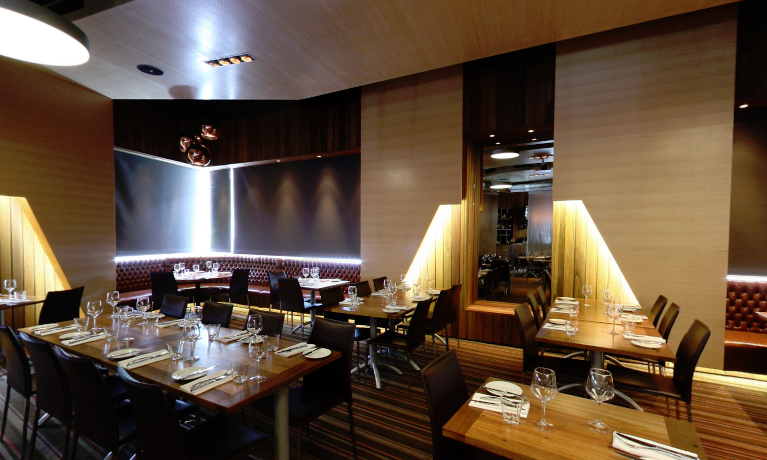 Bovine is available for exclusive use for private functions of all kinds, including wedding receptions. Nothing has been overlooked with the design, décor and fittings of this function venue. It can cater for cocktail parties through to corporate functions and formal conferences. As a wedding reception venue, Bovines offers great value, flexible arrangements and a festive atmosphere. There are all inclusive packages available which include three course meals, 4 hour beverage packages and use of the stunning Bovine restaurant as your venue. All of the wedding extras are included, such as chair covers, white linen table cloths, gift tables and more. It is a truly stunning, modern and private function venue and wedding reception centre close to Brisbanes CBD.